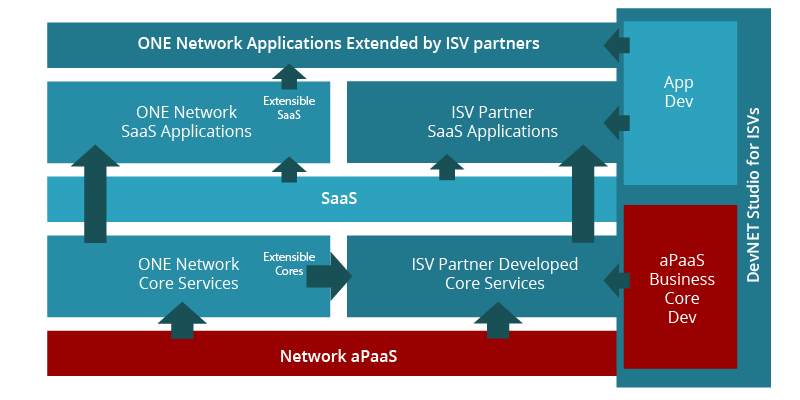 As an ISV Partner you will have access to our SaaS applications, aPaaS modules and industry core services and APIs. This includes advanced transaction modules, optimization engines, master data backbone and business network including 50,000+corporations and 6000+ carriers/3PL companies. All applications have access to our large fast growing business network. We provide services to add new companies quickly and efficiently onto the network. Our platform enables applications to function seamlessly between companies and functional business units to deliver optimization of shared ecosystem goals. This approach and technology delivers unique high value benefits for all parties on the network including brand owners, suppliers, retailers, manufacturers, carriers, consultants, service providers and customers. Services and Modules can be combined together and extended to solve complex problems. All services are multi party enabled.